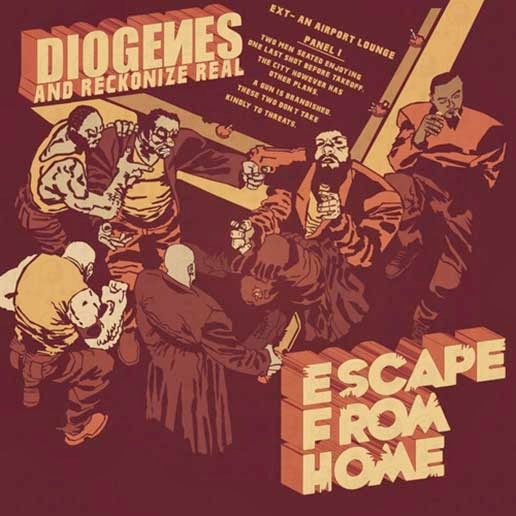 Mass Hip Hop: Free EP: Diogenes & Reckonize Real "Escape From Home"
Free EP: Diogenes & Reckonize Real "Escape From Home"
Escape from Home, the EP released November 2013, features five skilled Reckonize Real produced tracks, laced with fly rhymes by Diogenes. Back in 2012, the Massachusetts emcee and NY producer got together at the Real Deff Studio to deliver this little gem. MP3 Single: Lee Monté "The Struggle"
Mixtape: Notoriety "The Ground Table"
MP3 Single: Killer Kowalski "Killer Kowalski"
Video: The Verbal Surgeon "The Statements"
Video: Shizzie x MG "Rotation"